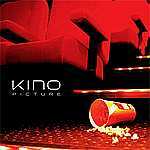 Review: "Kino: Picture" - Sea of Tranquility - The Web Destination for Progressive Music! John Mitchell is the guitarist who was largely responsible for making Arena's recent Pepper's Ghost one of the better releases in the past year. He also fronts The Urbane, and runs his own studio. His singing may have selective appeal though, and might take several listens to settle on you. Pete Trewavas is a seasoned veteran on bass guitar and a big name in progressive rock circles, having provided the bottom line for Marillion for years. Add Porcupine Tree's ex-drummer Chris Maitland and It Bites's keyboard man John Beck and you have the credentials for an outfit poised to make a significant impact on modern day progressive rock. In fact, Kino plays some progressive music and a lot of better-than-average AOR and rock. This CD is rich in the elements of prog and Picture takes stylistic cues from the home-bands of all four members, but it is essentially approachable, song-oriented rock with tracks that range from progressive through AOR and it even has one or two songs that could comfortable be described as pop. The 9-minute opener "Losers' Day Parade" is progressive in every sense of the word. It runs through a sequence of tempo and mood shifts and doesn't stay still for more than a minute at a time. It's standard neo-prog in places, then it's hard rock, some passages turn it into a whisper-soft angst-ridden thing, there are Gabriel-esque off-the-wall vocals and there's a Beatles-like passage including a the crackling of a scratched LP, and a simple piano line with straightforward but melodic and catchy vocals. John Mitchell describes it as the story of a musician who gets sick of his record company and sabotages the executive's company-car. Track 9, "Holding On", is the second best number. It is a sentimental piece that starts softly and builds up to a wall of sound then retreats into its acoustic intro, and is generally reminiscent of Hogarth-era Marillion. The instrumentation, the compositions, the song structures, the execution and the production and mixing are just what you'd expect from artists of this stature � they are flawless. There are some nice 2- and 3-part vocal choruses, the keyboards are particularly good, and we don't have access to the lyrics but from what you can make out, they sound intelligent and better than most in this genre. And Trewavas's bass is possibly the most unnoticed yet important component of this CD. Apparently InsideOut Music had a catalytic role in the formation of Kino, so it is fitting that Picture represents the milestone of InsideOut's 200th release. If an established band such as Genesis had released an album such as this in their heyday, they may have been lambasted for letting down the side. Yet when Kino unleashed this debut album on an unsuspecting public, the immediate adulation that came from all corners of the globe, heralded the arrival of a new force to be reckoned with. Featuring 10 brilliantly executed songs, Kino have managed to reach out and sustain the interest of an audience that has eluded many who have tried this sort of approach before. The compositions are tight and well conceived, the vocals perfect and the gorgeous melodies abundant throughout most of the songs on this very inspiring release . You will be hard pressed not to be impressed by the alluring melodies in the chorus of "Letting Go" which is amongst the softer ballads on offer, while "All Of You" simply drips with charm and passion. Similarly, the basic concept here is in delivering a suite of songs that follow a reasonably recognizable format that doesn't demand too much attention or cerebral input from the listener. The style is very likeable for those wanting to discover another band that can deliver the goods but might not offer sufficient appeal for those heavily into complex time signatures and difficult instrumentation. Melody, accessibility and replayability are at the forefront of Kino's intensions here. They would be the ideal band to introduce a friend to, should they demonstrate an interest in what you might enjoy musically. Reminding me very much of the stylistic departure that Genesis managed to capture on their "Calling All Stations" release from 1997 , the success this album generates will be easily measured as a juxtaposed dismissal of Genesis's last outing which received a regular thrashing. While I can't admit to accepting "Stations" as the album they will be remembered by, it was probably their best release in a decade and introduced the name Ray Wilson, to an audience who had not been aware of his talents as a singer. This album reminds me very much of Ray's signature style of singing and while the songs are pretty accessible by today's standards, they don't get bogged down with too much repetition. For any fan of bands like Saga, Mike & The Mechanics, latter day Genesis, Arena, Marillion, I.Q., RPWL or similar, Kino will not disappoint. This is a fine example of a band who have got most things in order, right from the get go. Recommended!